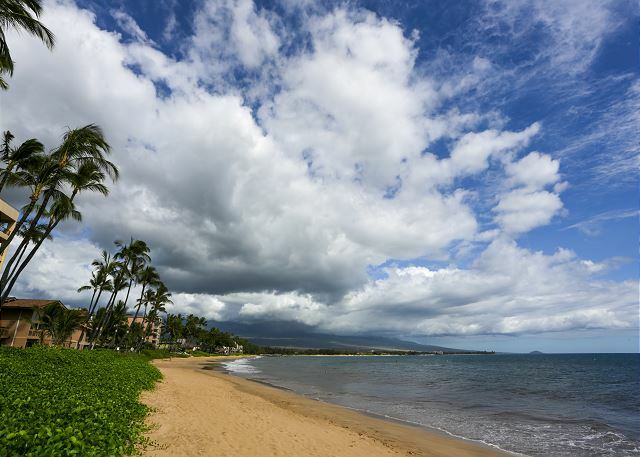 Situated directly on the waters edge, white sand Sugar Beach in North Kihei. Offering Exquisite Ocean and Mountain views. The incredible new interior design represents a modern luxury residence with Aloha touches. **Please note, the Pool will be CLOSED from September 9th through September 16th, 2019 for annual maintenance. A charming fully remodeled one bedroom with a king size bed, one bath condo can comfortably accommodate up to 4 people. The additional guests can sleep comfortably on the new high end sofa pull out bed in the living room. With granite countertops, stainless steel appliances, designer furniture and a cozy living space, you'll sure feel a sense a tranquility and maximum comfort. Enjoy pure relaxation from your own private lanai while viewing the crystal-blue water at Sugar Beach. A brand new washer and dryer is in the condo that way you have a little less luggage to bring. 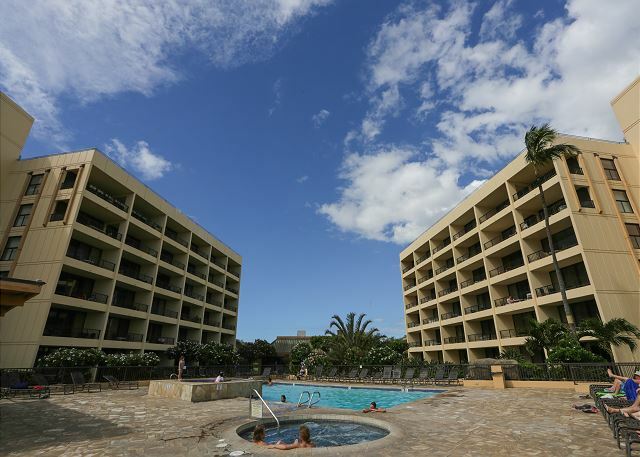 The complex itself provides a wide variety of amenities: a large saline pool (free of chemicals), a hot tub, a children's pool, an inviting picnic area with tables and grills, oversized permanent board games on site, a deli, a general store, and even a massage salon! Sugar Beach (the longest stretch of beach in Hawaii) has miles of sandy coastline; perfect for swimming, stand up paddle boarding, snorkeling, kayaking or canoeing. This is the perfect beach for morning or sunset walks and is a great place to spot turtles! There are also several tide pools along the walk that may interest the younger beach combers. While walking, make sure to stop by the Kealia Pond National Wildlife Refuge. Stroll on the wooden boardwalk and look out onto the glassy waters and lush foliage of this natural reserve. ROOM AMENITIES: Smoke Free environment, AC, Free WiFi, Fully Equipped Kitchen (Cooking range/oven, Refrigerator, Dishwasher, Microwave, Blender, Coffee maker, Dishes & silverware) Cable television (living room), Roku for Smart TV apps (Master Bedroom), DVD/CD player, Ceiling fan, Private lanai, Iron and ironing board, Additional linens and towels, Complimentary starter kit of laundry detergent, shampoo, soap etc. Hair dryer, Beach gear (beach chairs, beach towels, a cooler and a beach umbrella) Free parking. We are always available to be reached via email or phone. Additional cleaning can be arranged for a fee, our long stay guests take advantage of this service. Our Maintenance team is on-call and can assist at any time. Check-in and Check-out are very simple. 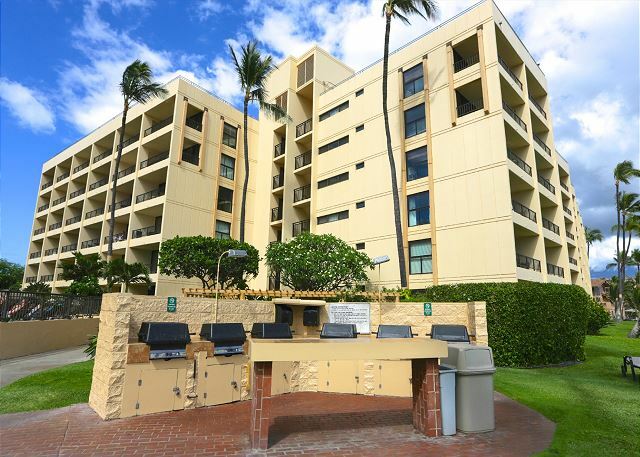 We send you a pre-arrival email with all necessary information on how to get to the condo, what the electronic door lock code is, pool access code, etc. We recommend you print the email prior to the trip or saving it on your smart phone to easily access it when you arrive at the complex. A private Concierge is always standing by to help with any activity bookings, island recommendations and restaurant reservations. 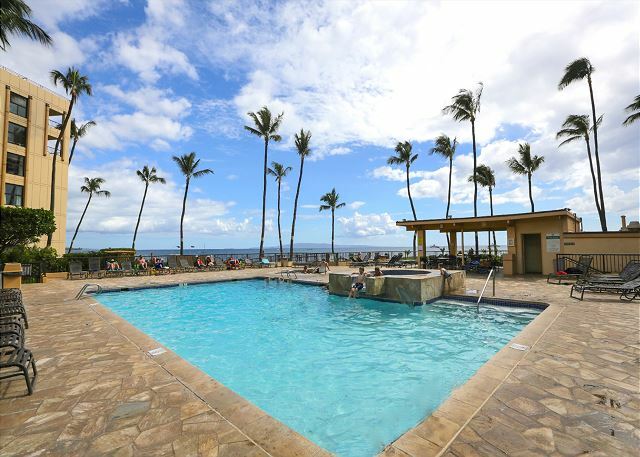 This is an oceanfront complex, directly located on Sugar Beach, the longest stretch of white sand beach on Maui! Maui’s unique and varied terrain offers a multitude of activities. From relaxing on some of the world’s most beautiful white sand beaches to the more adventurous undertakings of zip-lining and paragliding. Sugar Beach's location is such that there are many activities and attractions right at your finger tips. 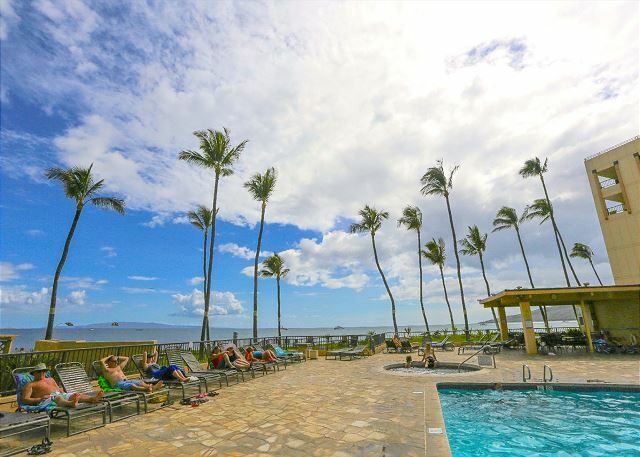 Some of Maui’s top attractions are: Maalaea Harbor - 6 miles - Many boats leave from Maalaea on snorkeling trips, deep sea fishing, scuba diving, whale watching (in season), sunset cruises, and more. It is much faster to leave from Maalaea Harbor than Lahaina Harbor when taking trips to Molokini Crater and Turtle Town. 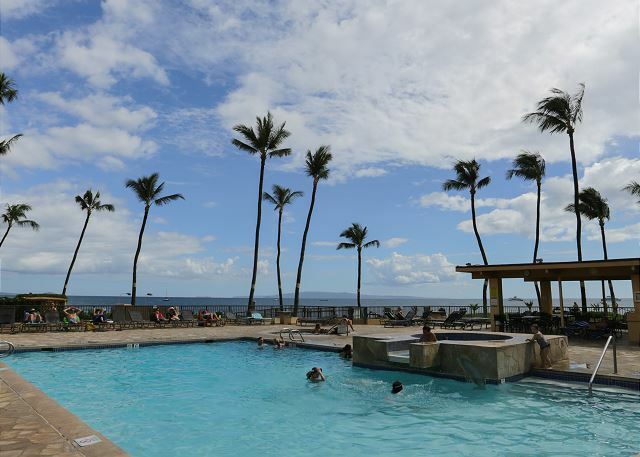 Other attractions include Maui Ocean Center, Haleakala Volcano, Shops at Wailea, Iao Valley, Wailea Golf Club, King Kamehameha Golf Club, Maui Tropical Plantation, and the Whale Sanctuary. 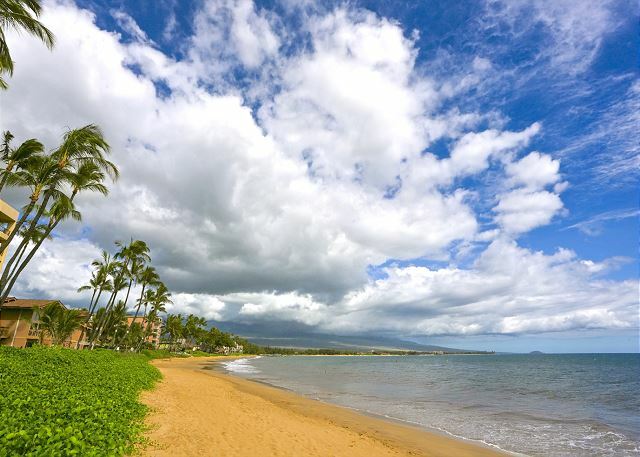 The town of Kihei is a quant, laid-back beach town boasting some of Maui’s most pristine stretches of white sand and turquoise waters. 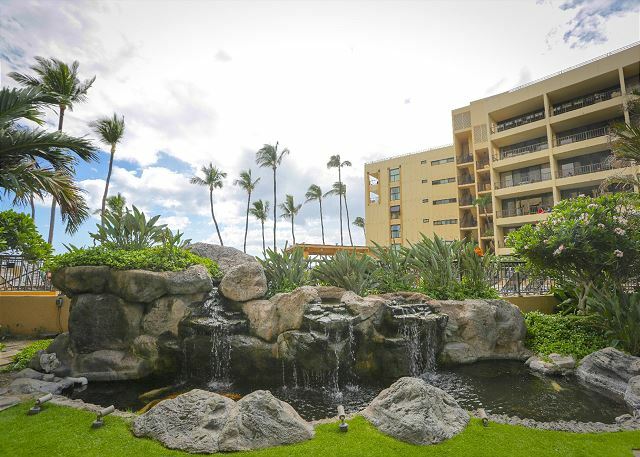 Rooms Sleeps 4, Fully remodeled, this 3rd floor one bedroom, one bath, and queen sofa pull out condo comes equipped with a private lanai perfect for watching the waves roll in.